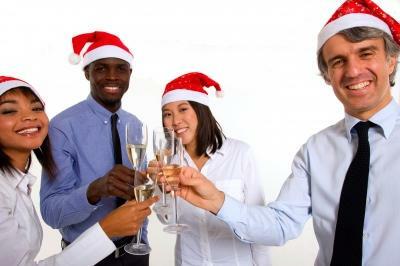 One opportunity that you probably have never considered is to attend another company’s Christmas function. This can be a wonderful networking opportunity especially if your business is compatible with either the host company’s team members demographic (as in you sell something they all want to use – in this case spend a lot of time networking and getting to know the team rather than the boss) or if there is the opportunity for a strategic alliance or host beneficiary in the new year (if a strategic alliance or host beneficiary is your goal – make sure you spend plenty of time with all the key decision-makers). Networking doesn’t have to be a waste of time or even traumatic. If you do it properly and with the right approach, it can make generate a significant amount of business for your company. And while the benefits to networking are many and varied, almost every business can profit from a strong networker. It can basically be seen as a business time saver. When you’ve got a strong network, you’ll find your calls get returned more quickly and easily. You’ll have quicker and easier access to more information, ideas and contacts. This in turn, can make you more efficient and productive and lead to more opportunities, more business, new business, new contacts, new clients, growing your business and most importantly, more money in your pocket. Christmas is the best time to launch your networking career. Take advantage of the Christmas spirit and introduce yourself to lots of potential clients that would normally be harder to get to. By the way, I’m not saying you should launch into a sales pitch at the function – in fact I would strongly advise against it. All you need to do is grab some business cards and follow them up before or after Christmas, after all you will never have a more perfect reason to call. Remember, the last thing you want to be is overly enthusiastic, or become known as the person who shakes everybody’s hands and thrusts their business cards into an unsuspecting party-goer’s grip. Relax and be yourself, it’s Christmas after all! You never know you may even enjoy yourself. Know your focus – When attending an event, don’t try to meet as many people as possible, trust isn’t built from a stack of business cards. Have an adequate supply of business cards and make sure you get a business card from every person you meet – This will allow you to not only follow up but will help build your database. Listen and ask questions – You have two ears and one mouth so remember to use them proportionately, also don’t assume that your target person already knows your business. Give referrals whenever possible – A good networker should believe “givers gain!” So because most successful businesses grow from referrals, be the person that does the referring. Remember the fastest way to get referrals is to give them. Don’t try and close any deals – Networking should be used to develop relationships with other professionals and not an event to hit businesspeople to buy your products or services. Write notes on the backs of business cards you collect – This will help jog your memory when you make contact with them and will help in building rapport. 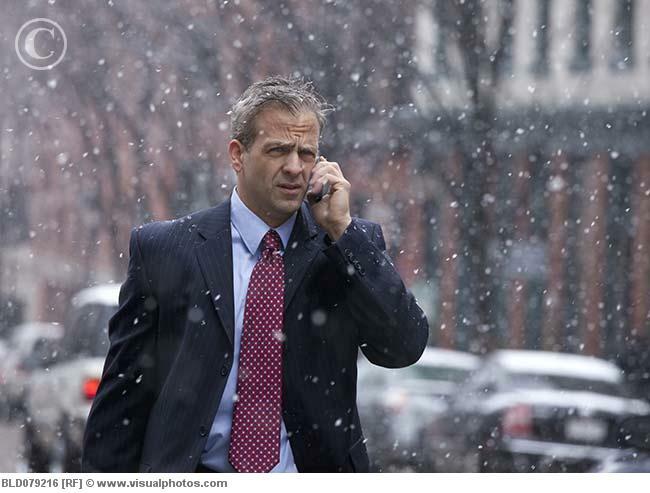 Follow Up – If you’ve discussed catching up with someone, call within 3 days of the meeting that person. Otherwise, just write a brief hand written note (to keep it personable) saying it was great to meet them. Keep promises – If you’ve made a promise, keep it! No one like to do business with an unreliable person. Think differently – Focus on just meeting people and not finding new customers because that’s what everyone else is probably doing. 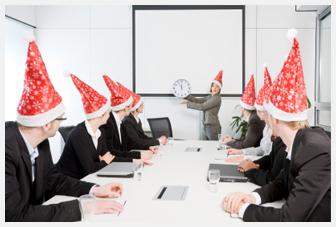 Another opportunity you’ve probably overlooked is your internal Christmas party. And while it won’t contribute directly to sales or to your bottom line, a happy, contented and appreciated team will always outsell an unhappy, restless and unappreciated one. Although most businesses do “something” for Christmas, take the time to try to make the occasion special, as it is a great tool for boosting team morale. And no, by that I don’t mean supplying enough alcohol so that your team members won’t remember the party and will “think” they’ve had a good time! Christmas parties are a wonderful way to thank your team for all their hard and diligent work throughout the year. It’s also a great time for team members to get to know each other and you. Lastly, the most important opportunity to seize during the Christmas period is getting and keeping new customers. Most retailers get a massive influx in customers they’ve never seen before during the festive season. That’s a massive opportunity and yet most will never see those customers again until next Christmas… maybe. To begin with, your marketing and advertising campaigns (at every time of year, but especially at Christmas) should be more about getting a customer to keep buying from you – it should be about pro-actively keeping them coming back again and again. 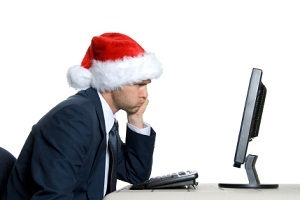 So the question is, how are you going to keep new Christmas customer coming back in the New Year? Most retailers use the common excuse that “we don’t have enough time to service customers, let alone record their names and addresses.” But the thing is, you can’t afford not to do this because how else are you going to get them coming back. If you’re ready to handle this influx in business, this will be just the start of bonuses you’ll get from the increase in store traffic. If you’re ready to do this, great! If not, you’ll be throwing away a goldmine in opportunities. So let’s refine this process. Obviously you have to ask for the customers name and address. This easiest way to do this is to simply ask them. If you give people a reason like special members only offers or newsletters, or a VIP card, you’re more likely to get a better response. Even something as simple as a “thanks for buying from us” note is a great start because no one else does it so it will stand out a mile. People will come back to you and refer their friends because your business stood out from the crowd. Remember, if you’re not communicating with your past customers at least every 90 days you’ll lose all the rapport you’ve built with them to get the first sale.